Home Airports & London Transport London Gatwick Transportation-What is The Cheapest way from Gatwick to London? London Gatwick is one of the popular airports in London. The next few sentences are created to assist you to discover the very best transportation alternative to your requirements and also offer some tension free and good value for your money! Since London Gatwick airport became one of the popular airports due to cheaper airline tickets, many visitors ask questions and wanted to find out how to travel from the airport to the London city. That’s why we decided to answer most of these questions. 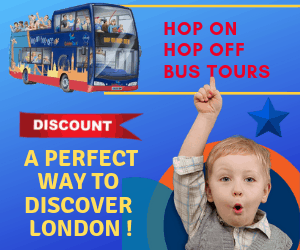 The next few sentences are created to assist you to discover the very best transportation alternative to your requirements and also offer some tension free and good value for your money travel tips in order to help you find your way from or to the Gatwick airport. Yes, London Gatwick Airport is proximately 25 miles away from south of central London. How far is Gatwick airport from downtown London? Depends on what transfer you choose. If you are travelling by train you have numerous alternatives for travelling to London through. Gatwick Non-stop Gatwick runs 4 services per hour (every 15 minutes ) and takes about half an hour. With coach takes over an hour and taxies take 50 minutes to one and a half hour depends on which part of the city you are travelling to. The London Gatwick airport is also known as LGW airport. How many terminals are at Gatwick Airport? Can I use Oyster Card to or from Gatwick? Yes, for travelling to Gatwick airport you can use pay as you go Oyster Card or countless bank cards. How long does it take to get from Gatwick to London? The journey to Gatwick takes around 1 hour and 15 minutes from Central London towards the south. What is the cheapest way from Gatwick to London? The straight and simple answer is the buses. But you should consider that travelling by buses takes longer compared to train and the taxies. In addition, the coaches don’t take you directly to your hotel destination. Therefore, if you are travelling with children and a few pieces of luggage, you might think again for using the buses. In case you lastly choose to take the bus, their final destination or pick up points stations are in Victoria, Earl’s or West Brompton. Bus companies are National Express easyBus. The primary option for London Gatwick Airport Transfer is Gatwick Express. Gatwick Express operates every day. There is a train in as frequent as every 15 minutes to transport passengers from and to Gatwick airport and Victoria Station. The first train of the day leaves from Victoria Station at 3:30 am and the next one at 04:30 am. However, from 5:00 am you can access the Gatwick Express every 15 minutes from both London Victoria station and London Gatwick Airport. From Monday to Sunday the last train departs from Victoria Station towards Gatwick Airport at around 00:30 am and the last train from Gatwick Airport to London Victoria Station is at 00:50 am. The second option for travelling to or from London Gatwick Airport is the National Express. The National Express buses operate from London Victoria to Gatwick Airport every hour and are in service seven days a week. Depending on road traffics, the journey takes around one hour and 30 minutes to two hours. Moreover, If you are travelling from the airport towards London, You can find the National Express ticket office in the South and North Terminals of the Airport. The ticket offices operate every day from 6 am to 10 pm. However, there are ticket machines available in both terminals where you can purchase your ticket if ticket offices are closed. The tickets machines in South Terminal are accessible between Airport’s opening hours, however in North Terminal are accessible 24 hours. The price of travelling to or from Gatwick Airport starts from £8.00 plus £1.00 booking fee, however, an average one-way ticket for an adult is around £15 plus £1.00 booking fee. The third option for Gatwick Airport Transfer is Easybus Gatwick. The Gatwick Shuttle is another great option for London Gatwick Airport Transfer and works on advance booking. From any place in London to Gatwick Airport will cost £21 per person, however, if you are more than one passenger the price reduces to £18 per person. The Shuttle will come to your hotel to pick you up and take you to the airport. Organizing your London Gatwick Airport Transfer with Taxi can be done through us. It would only take about one hour to get to the airport, however, is all depending on where you’ll start your journey. We can reserve a suitable vehicle with our preferred taxi partner company for a safe journey at a very good price; if you like we can send you the price depending on your destination and number of passenger. Our taxi company partner can arrange to pick you up or take you to any place in the UK. Previous articleGood Restaurants and Low Food Prices in London. Next articleHow to Get the Best Cheap Airport Transfers to London Stansted?